Gregg R. Manis | Blackstone Valley Wealth Management, LLC. As one of the founding partners of Blackstone, Gregg’s goal is to understand his client’s concerns and objectives and then develop a roadmap to help them navigate their financial life journey. He always envisioned being part of a noble profession and he sincerely enjoys making a difference in both his client’s personal and financial lives. 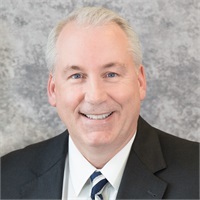 Gregg’s career in the financial services industry began in 1990 working for Prudential and he then spent more than 13 years at Fidelity Investments. He takes a holistic approach to planning and works to enrich the lives of his clients by providing the highest level of financial planning services. As an independent advisor, Gregg can truly focus on his clients, free of hidden agendas or the use of proprietary products. He is passionate in the areas of portfolio construction, retirement income planning, education planning, tax planning, estate planning, and charitable giving. His motivations to co-found Blackstone stem from his overriding desire to help others achieve financial independence. Every client of Blackstone is unique and Gregg takes the time to get to know each one of them so that he may customize each financial plan, investment portfolio, and retirement income strategy not only to pursue their objectives, but reflect their style. Gregg graduated from Ithaca College and obtained a Master’s Degree from Springfield College. He completed Boston University’s Certified Financial Planning Certificate Program in 2005 and obtained the CERTIFIED FINANCIAL PLANNER™ designation in 2006. Gregg lives with his wife Allison, and daughters Katie and Lauren in Franklin, MA. When not attending or coaching one of his daughter’s athletic teams, Gregg enjoys family vacations, biking, various sports and time with his family. The CFP® certification process, administered by the CFP board, identifies to the public that those individuals who have been authorized to use the CFP certification marks have met rigorous professional standards and have agreed to adhere to the principles of integrity, objectivity, competence, fairness, confidentiality, professionalism and diligence when dealing with clients.